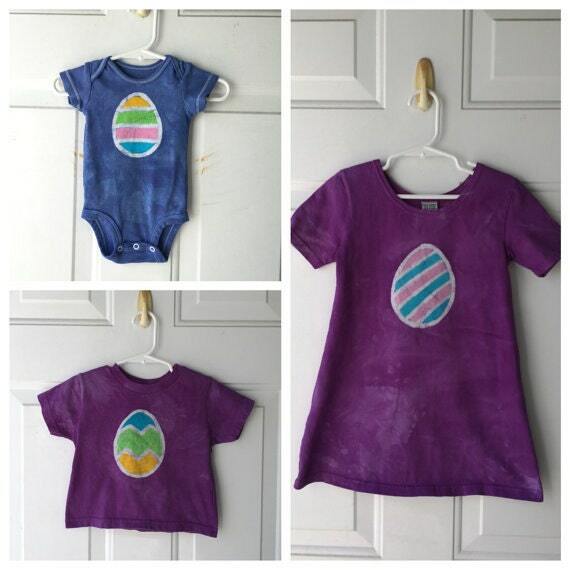 A perfect Easter dress for hopping along the bunny trail! 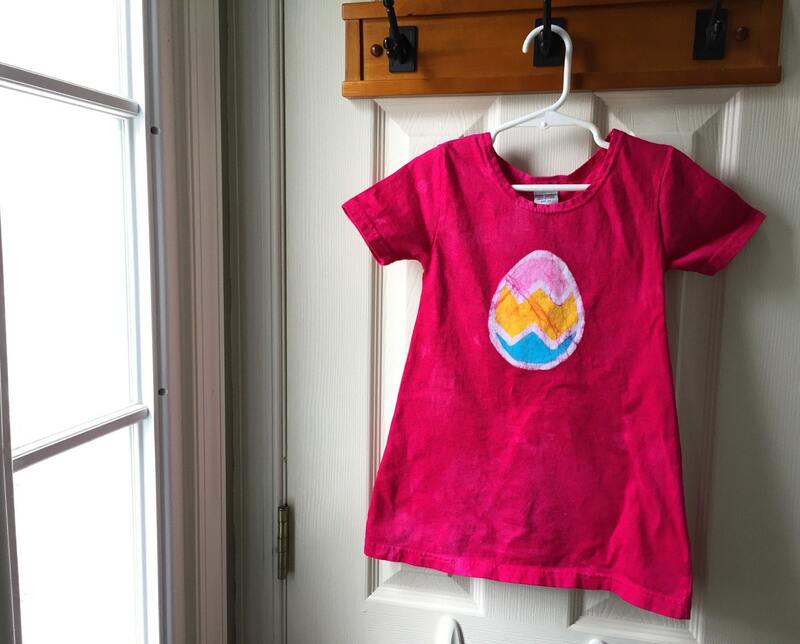 I drew a big egg onto the chest of this little girl's dress and painted it several bright spring colors. 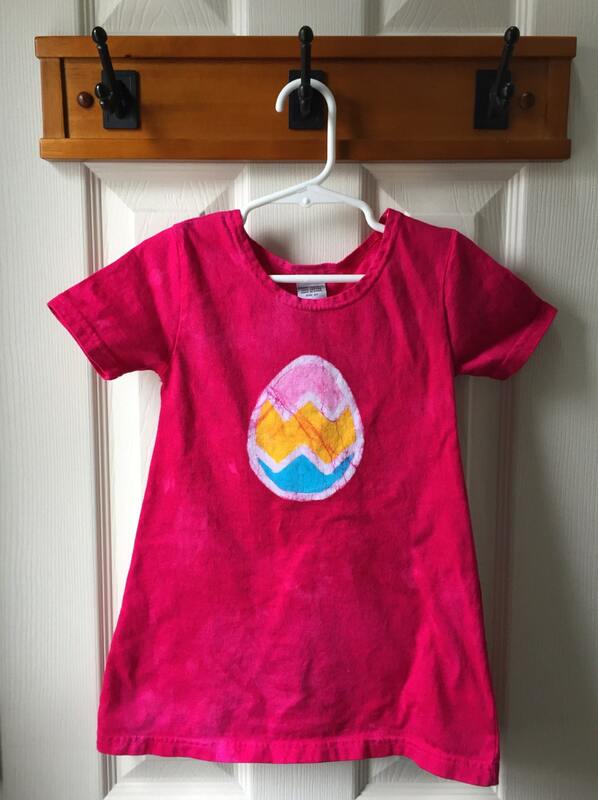 When that was dry, I dyed the dress deep fuchsia pink. 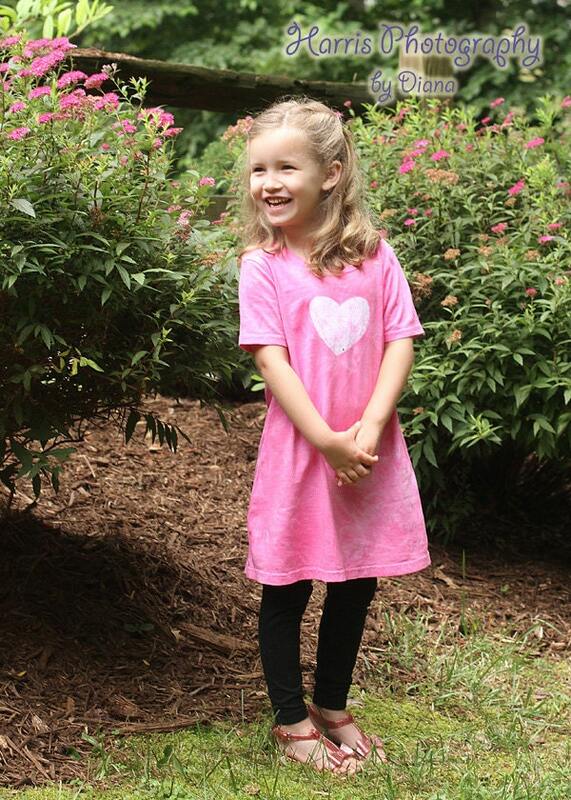 The dress has a slight A-line shape and is cute dressed up or church or school or dressed down for playdates and playgrounds. Adorable with leggings and tights! This is a size 2T short-sleeve dress, 100 percent cotton.